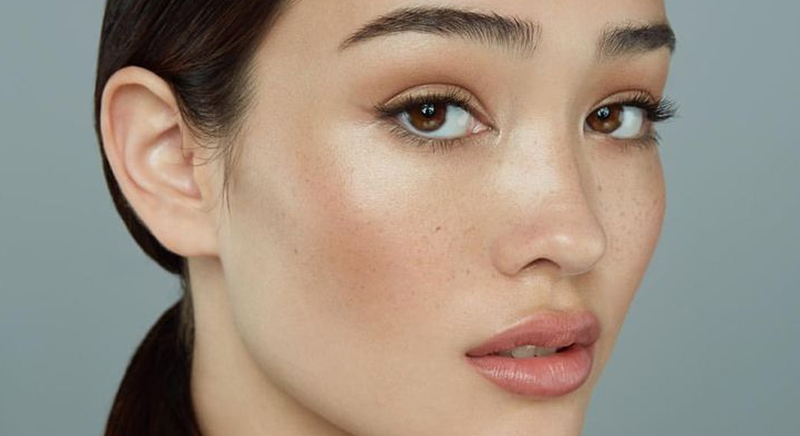 You already know your basic makeup steps from our guide here, but you may be wondering: how do I do that natural, ‘no makeup’ makeup look. It isn’t just popular with beginners who are too intimidated by more intense looks. 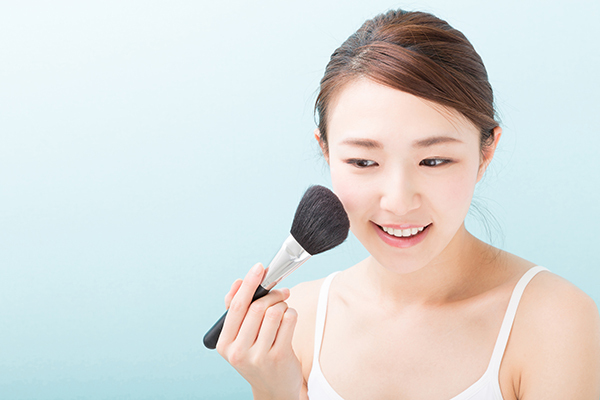 The natural makeup look is just generally the go-to everyday look for most Singaporean women, as we strive towards an effortless, casual beauty. As you may already have guessed, natural makeup looks are actually more difficult than it sounds. It actually requires a good amount of skills to do it nicely, but it’s also more forgiving if your techniques aren’t as precise just yet, making it a perfect look for beginners. Here are some ways you can easily achieve a natural makeup look. We’ve already said this in our previous guide, but this is especially important if you’re going for a natural makeup look. Natural makeup looks aim to enhance and beautify what you already have, instead of creating drama and illusions that aren’t actually there. 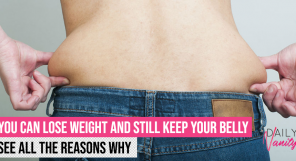 Since that’s the case, then you need to make sure that your skin condition is the best that it can be. 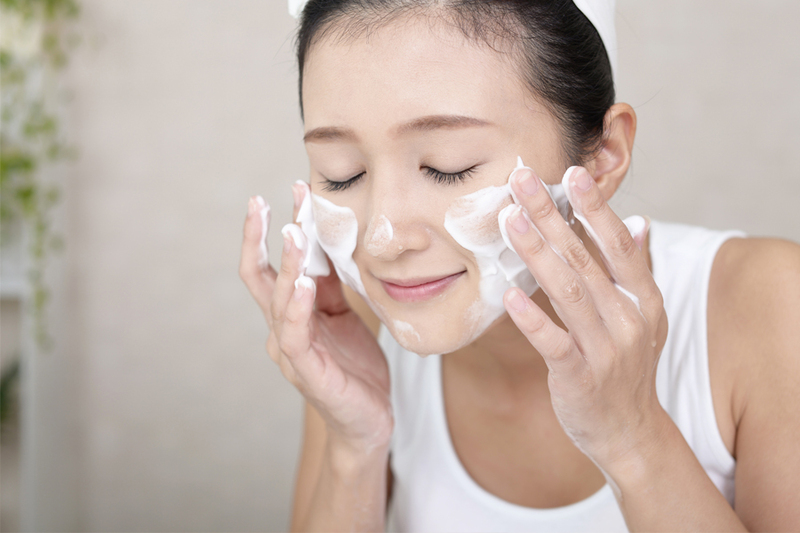 Before you begin applying your makeup, don’t forget your essential morning skincare steps: toner, moisturiser, and sunscreen. You’re free to add on any other products you like, but these are the most important ones you can’t skip. Natural makeup looks aim to make you look like you don’t have any makeup on. You can’t achieve that if your foundation is caking and bunching up at the corners of your nose by mid-day. Primers are really important and can help with that, as we’ve already discussed in our simple makeup guide. They even out your skin textures, help with oil control, and can also help makeup look fresher for longer. Make sure you’re using a primer that is appropriate for your skin type. There are primers that can double up as moisturisers out there, which can give your skin an added hydration boost before you pile on the makeup – great for those who are prone to dry, flaky skin. Conversely, there are also primers that are super mattifying and holds off the shine for a longer time. Colour correcting is underrated. 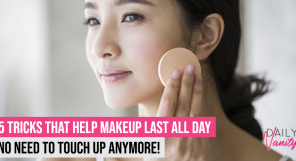 They can go a long way in helping to even out your skin tone, and they also reduce the amount of concealer and foundation you need to cover up blemishes, redness, or darkness under the eyes. The principles of colour correcting are simple: find whatever colour you’re trying to conceal on a colour wheel (e.g. blue/purple for under-eye darkness), find the colour directly opposite it on the wheel (e.g. peach/yellow for under-eye darkness), and use that as your colour corrector. 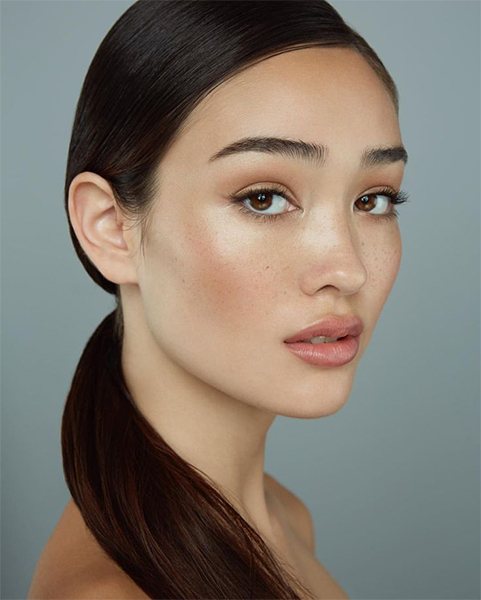 Some beauty junkies out there prefer to go with concealers that are slightly lighter than their natural skin tone so it brightens up their face and can also double as a highlight. For a natural makeup look, though, keep that to a minimum. After all, you’re trying to look like you’re naturally flawless. As such, match your concealer as close to your natural skin tone as possible. Apply the least amount of concealer needed to cover up any blemishes or under-eye darkness. Gently pat in the concealer with a finger rather than using a brush or sponge, as your finger doesn’t absorb product and you’d tend to use less as well. Concealers also tend to be a thicker formula than foundation, so try to minimise your use of concealer as far as possible. Use it underneath your eyes if you have darkness to conceal and on any blemishes or spots, but not over large areas of skin. Obviously, a natural makeup look would generally preclude liquid foundations that provide heavy coverage. Although these can make your skin look literally perfect, but they tend to also give you an obviously made-up look. If you’re one for liquid foundations, find one with light to medium coverage. 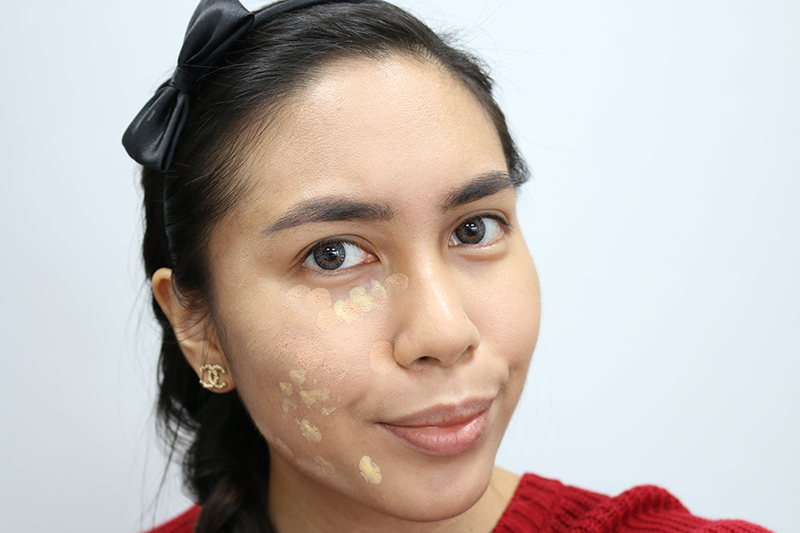 It may take a while finding the perfect amount of coverage that can conceal your flaws, but don’t give up! If liquid foundations are all too heavy for you, you can consider using a BB cream or even a tinted moisturiser as your base makeup instead. You can also consider trying out powder foundations. These tend towards a lighter coverage, but they don’t cake up as much as liquid foundations do. Powder foundations would be ideal for those with normal, combination, or oily skin – dry skin types should not use powder foundations on its own. Blushers can come in all sorts of variations of pink and red, but the best one for a natural, effortless look would lean towards a warm peach or pink. Imagine how your skin might naturally look like when you’re actually blushing, and go for the nearest shade of colour possible. 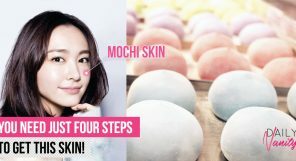 Cream blushes generally blend in to your skin more naturally, rather than sitting on top of your makeup like a visible layer, as many powder blushes are wont to do. 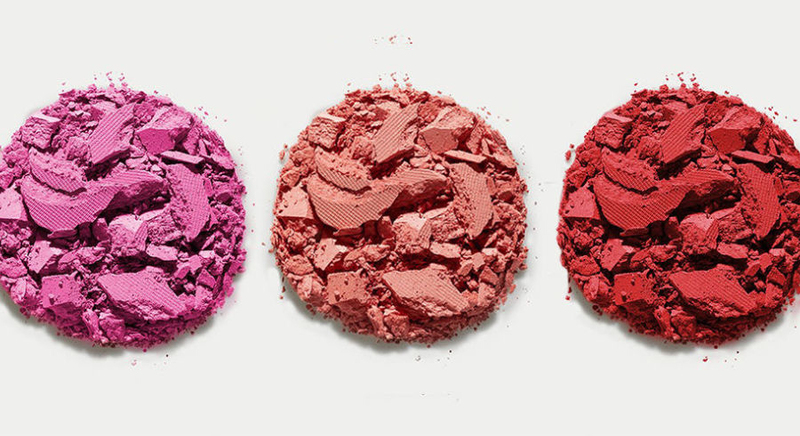 However, cream blushes don’t last as long as powder blushers, so weigh your options and experiment with both. 6. To eye shadow or not to eye shadow? You may think that a natural makeup look would certainly preclude eye shadows as well, but that may not necessarily be true. If you’d like to give your eyes a subtle bit of depth and dimension, try going for a neutral brown that’s just a shade darker than your natural skin tone. After applying a good eye primer, apply your brown eye shadow along your crease (check out our guide on eye shadow application here to find out where your crease is) and remember to blend, blend, blend. There should be no harsh edges by the time you’re done! 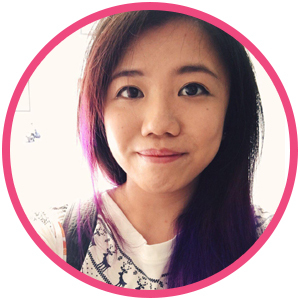 Singaporean women, however, tend to focus less on eye makeup, so skipping eye shadow entirely is also a viable option. 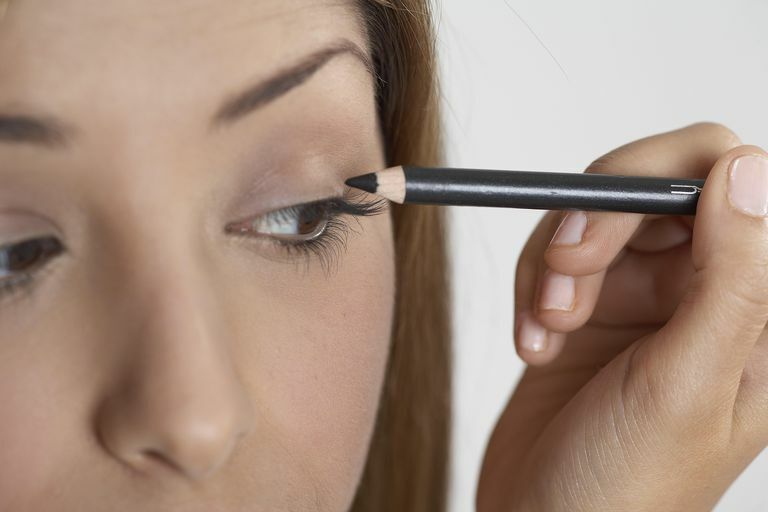 If you need to put on eyeliner, go for a pencil formula in a soft brown. Pencil eyeliners will produce softer, more diffused lines which will look a lot more natural than liquid formulas. A brown colour will also stand out a lot less than black. Line your upper lash line as usual, but skip the wing if you want to look more natural. 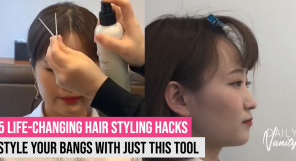 Alternatively, skip your eye liner entirely! Just like the other steps of eye makeup mentioned above, mascara is a completely optional step when you’re going for a natural makeup look. 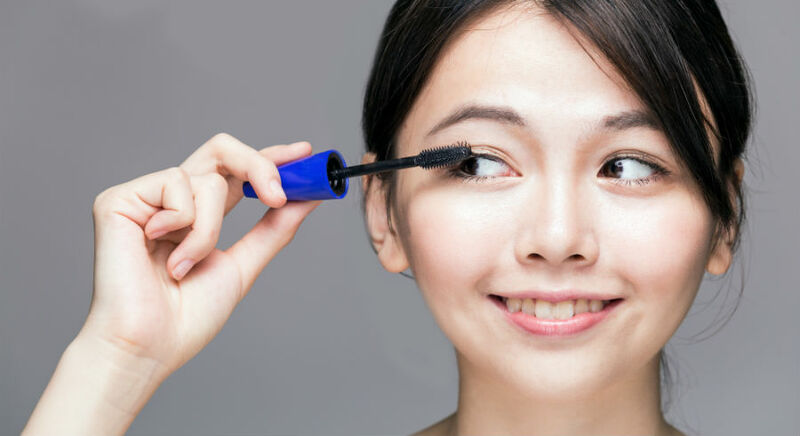 If you’re already skipping eye shadows and eyeliners, however, a little mascara might actually help to perk up your eyes and make them look naturally radiant and alert. Make sure you curl your eye lashes first, then go for your favourite formula of mascara. Try living with only one coat. It may not give you dramatic, va-va-voom lashes like you’re used to, but hey, we’re going for a natural makeup look here, right? Unless you have naturally luxuriant eyebrows, you’ll definitely want to fill in brows so they don’t look overly sparse in contrast with the rest of your makeup. Go for a shade that is as close to your natural hair colour as possible, and fill in the sparser areas between individual hairs. For a natural makeup look, your brows shouldn’t have harsh, defined edges. Rather, fill them in according to its natural shape. 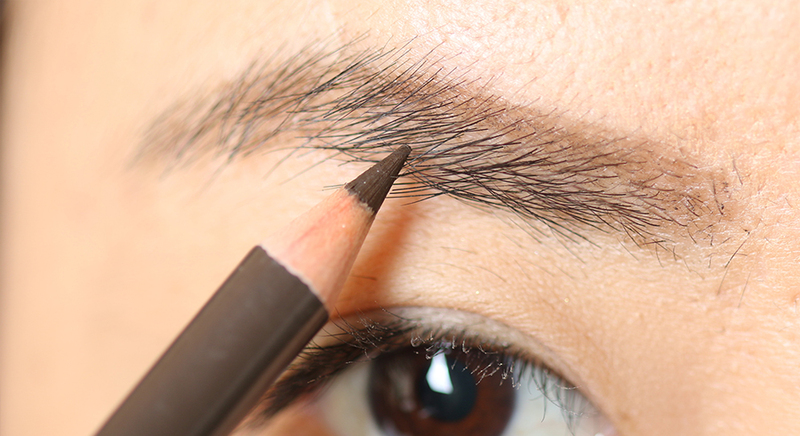 Check out our tutorial on how to draw your eyebrows! You already know by now that we’re not going to be picking a fire engine red or a fancy purple for your lips in this tutorial. Luckily, the MLBB (my lips but better) lip colour is still very much in trend and it shouldn’t be difficult to find a lip colour somewhere that is close to your natural lip colour. A matte or liquid lipstick might look more natural (but make sure they don’t dry out your lips too much and cause them to shrivel up mid-day), but if you’re into lip glosses, go for it. If your lips are naturally redder, you can even consider skipping lip colours completely and simply applying colourless lip balm or transparent lip gloss.